This week we celebrate a championship. 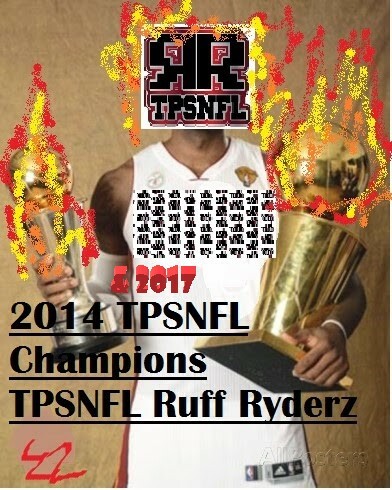 The Ruff Ryderz did it. They lifted up the skirt of In Caldwell We Trust and exposed him for all to see. After all the congratulations we get into some congratulations because frankly the Ruff Ryderz deserve it. Thanks for a great season everyone and we all look forward to the Ruff Ryderz defending their championship next season.